This offseason’s free-agent market features few top-of-the-rotation pitchers. 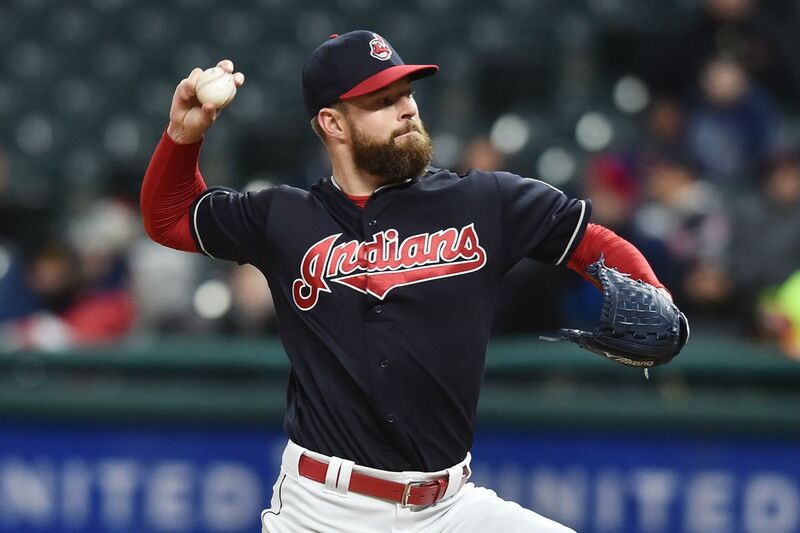 With starting pitching always at a premium, the Cleveland Indians are exploring the option of trading one of their talented, controllable arms. Cleveland right-hander Corey Kluber has won two Cy Young Awards in his eight-year career. The 32-year-old ace would command a significant haul of prospects, especially with being signed at a total of $46.7 million through 2021. Selling high on major-league talent to infuse young potential into the organization is critical for a small-market team to remain competitive on a yearly basis. Even without Kluber, the Indians will win the AL Central next season. The Indians and New York Yankees are ideal trading partners. The Yankees need a No. 1 starter while the Indians desire salary cap room and young, controllable talent. Justus Sheffield, LHP: Sheffield is a 6-foot, 200-pound left-handed pitcher. The Indians drafted Sheffield in the first round of the 2014 MLB draft before trading him in a four-player package to the Yankees for reliever Andrew Miller in 2016. Sheffield has a three-pitch mix, featuring a mid-90s fastball, slider and changeup. His fastball and slider are consistent, above-average offerings while his changeup is an improving pitch with swing-and-miss potential. The 22-year-old hurler recorded a 2.48 ERA with 123 strikeouts, 50 walks and a 1.138 WHIP in 116 innings between Double A and Triple A in 2018. He received a taste of the major leagues and allowed three runs in 2 2/3 innings. He has at least No. 3 starter potential in the major leagues. Clint Frazier, OF: The Indians selected Frazier with the fifth overall pick in the 2013 MLB draft before dealing him with Sheffield in a package for Miller. Frazier dealt with concussion symptoms for a majority of last season. He played in 54 games between Single A and Triple A while appearing in 15 games with the Yankees. In his minor-league stint, Frazier hit .305 with 11 home runs, 24 RBIs, six stolen bases, 27 walks and 55 strikeouts in 210 at-bats. His success didn’t carry over to the major-league level, as he posted a .265 average in 34 at-bats. Frazier has five-tool potential and would’ve impacted the Yankees last season had he been healthy. Estevan Florial, OF: The Yankees signed Florial, a 20-year-old center fielder, out of the Dominican Republic in 2015. He features above-average raw power from the left side of the plate and above-average speed and arm strength. Florial’s biggest question mark is his ability to make consistent contact. Between Rookie ball and Single A, Florial hit .283 with six home runs, 35 RBIs, 48 walks, 92 strikeouts and 16 stolen bases in 325 at-bats last season. His on-base percentage was .377. Florial is a high-risk, high-reward prospect with his potential wavering on his swing-and-miss issues. Matt Sauer, RHP: The Yankees selected Sauer in the second round of the 2017 draft. In his first full professional season, Sauer posted a 3.90 ERA with 18 walks, 45 strikeouts and a 1.16 WHIP in 67 innings at Single A. The 6-4, 195-pound hurler has a three-pitch mix, featuring a mid-90s fastball, curveball and changeup. He attacks the zone but has effort in his delivery. Sauer has middle-of-the-rotation potential. Although it’s difficult to trade one of the game’s top pitchers, the Indians have a plethora of starting pitching. This move would free up salary cap space to allow the Indians to address holes on their major-league roster while replenishing their farm system. The two guys sent from the Indians in the Andrew Miller trade (Frazier & Sheffield) are not part of this deal. Look at four names like Andujar, Loaisiga, Acevedo, Bird, Green, etc.. This is not a salary dump. There are six other teams that would offer a MUCH better package than just these second tier prospects.. The Yankees have missed the world series the last three seasons because the did not want to trade high ranked prospects. Had they traded for Justin Verlander last year or for Cole this year they would have made to the world series. Youre out of your mind. Florial and Chance Adams. Period if that doesnt get it done then role with Sheffield in rotation. The Red Sox pitching isnt as solid as it looks. Sale has shoulder issues. Price had his 15 minutes of fame. hahaha. you have no idea how to use bb-ref to look up stats otherwise you would not post silly statements like florial+c.adams is the max for an every year cy young candidate who is an innings monster. There is no salary cap in Major League Baseball.